Provia Labs evolutionary tissue storage container, Proviasette, gets premier exclusive representation in the UK and Ireland via Grace Century's due-diligence to choose Sanbu Limited. Provia sought the ideal group to penetrate the European market. Sanbu’s network and track record are well established, both in number and geography. Sanbu Limited was a perfect fit. Grace Century, an international research and private equity company based in the United Arab Emirates (UAE), north of Dubai, is pleased to announce the completed agreement between Sanbu Limited, a “turn-key“ international provider of medical device, supplies, and healthcare solutions located in Bournemouth, UK and Boston, Massachusetts based Provia Laboratories tissue storage division, Proviasette. “We are excited about the opportunity to be the exclusive representative throughout the UK and Ireland for Proviasette," stated James O’Rafferty, Managing Director of Sanbu Limited. “Most tissue is donated by individuals, with or without disease, and this tissue provides the best resource for scientist developing safe and effective treatments. It is therefore very valuable. In our opinion, the quality and design of the Proviasette, will raise the standard of tissue storage globally,” he added. 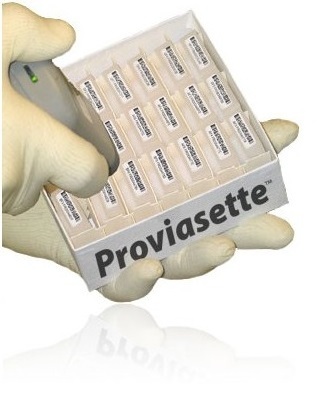 The Proviasettes are becoming the standard for frozen bio-specimen storage containers and are already in use at over 30 bio-banks in the United States alone, including global pharmaceutical companies, comprehensive cancer centers, children’s hospitals, biotechnology firms and national research institutions. Grace Century FZ LLC is an International Private Equity Consultant located in Ras Al Khaimah, United Arab Emirates specializing in conducting due-diligence for its group of international members. Grace Century also assists firms in the development and execution of “game changing” ideas in the life sciences industry. Utilizing its vast network, Grace Century assists in capital formation, market penetration, joint ventures and brand development. Sanbu Limited is an International Healthcare provider and consultancy, specializing in the sales and marketing of a diverse range of diagnostic and life science products and services to the healthcare, veterinary, pharmaceutical and industrial markets on a global basis. For more information visit http://gracecentury.com. Provia Laboratories is a Boston based Consultant and International Storage provider for Stem Cell Banking solutions. For more information visit http://www.provialabs.com and http://www.proviasette.com.